Pirates of the Caribbean Online - American Paper Optics has manufactured the official glasses that you need to play Pirates of the Caribbean Online in 3D. Our analyglyphic paper glasses (red/cyan) work with the game. These are the official glasses that have been mailed to subscribers of Pirates of the Caribbean Online. 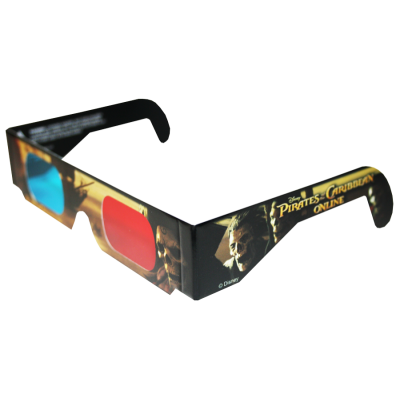 American Paper Optics is the exclusive producer of Pirates of the Caribbean Online 3D glasses.